Vedanta's Pig Iron Plant at Amona, Bicholim, Goa conferred the Prashansa Patra in Group - D under the Manufacturing Sector by National Safety Council of India for 2016. Pig Iron Division of VAB recipient of Gomantak Sarvoccha Suraksha Award and Metcoke Division recipient of the Gomant Suraksha Patra Awared in Large Industry Category - 2016. British Safety Council’s International Safety Award for 5 Locations i.e. Sonshi, Codli, Bicholim Mines and Pig Iron & Met Coke Division, Amona – 2011. 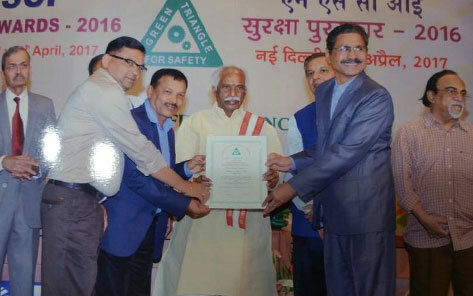 Green Triangle Society of India’s Award for longest accident free period for Sesa Industries Ltd. – 2004.